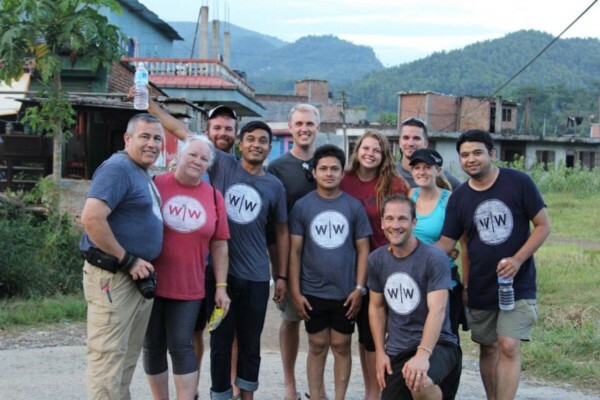 On September 6th, 2015, Wine To Water hosted its first volunteer service-trip to Kathmandu, Nepal. 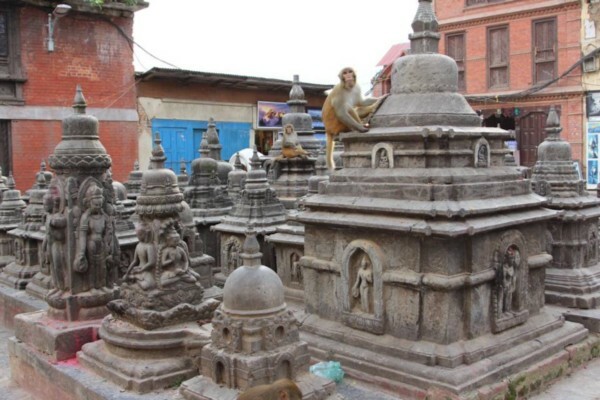 10 volunteers flew into the capital city of Kathmandu to see first-hand the destruction and devastation that the earthquakes caused for the city and the nation. All of the volunteers came from different areas across the United States such as Georgia, Alabama, Michigan, Colorado, North Carolina, Minnesota,Texas, and Pennsylvania. 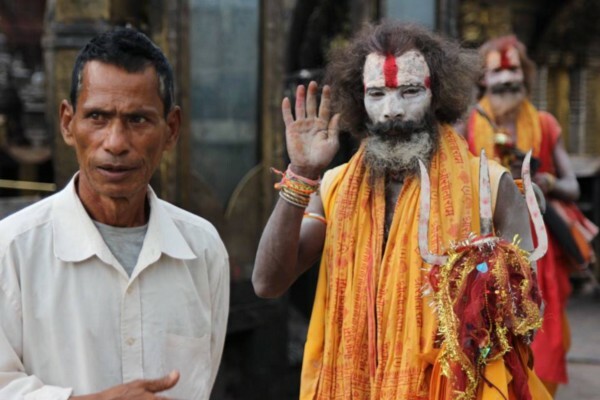 The team was welcomed by the Nepal ground-partners, Clean Ways Initiative (CWI), through the city and to their housing. They spent the first day with a tour to the many historical landmarks in the city and to a UNESCO World Heritage site. 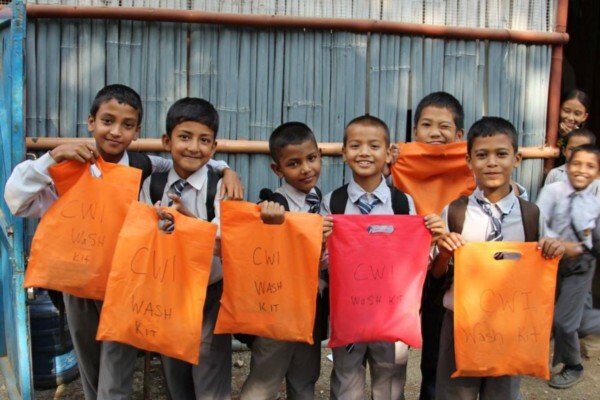 Wine To Water and Clean Ways Initiative attended WaSH (Water and Sanitation/Hygiene) Training before traveling to 5 different primary schools throughout Nepal to teach children and distribute their WaSH gift bags. All of the 5 schools received WaSH education, at 2 of the schools the volunteers also painted the walls, and 1 school received a new rainwater harvest tank. It took 1 day to complete the construction of the rainwater harvesting filter for a school, however, the team also supplied the school with a brand new water filtration system after noticing the tanks prior damages. Volunteers also had the opportunity to visit a few of the destructed sites where many families had lost their homes to the earthquake. One included an Internally Displaced People’s Camp (IDP) where several families built temporary homes with the few resources available to them. The locals were taught how to properly use their Sawyer Water Filter to better their quality of water and life! 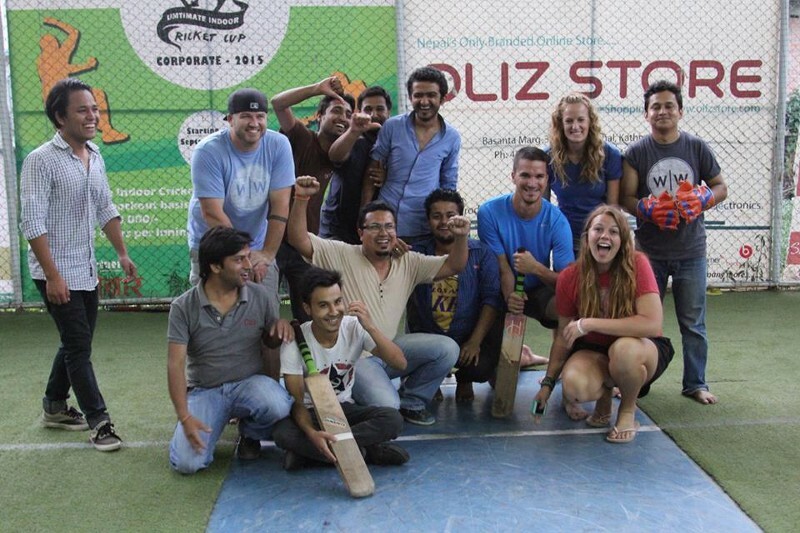 During the free time on the trip, volunteers saw many historical landmarks, learned how to live like the locals and took some time to play cricket with them too. By the end of the trip, Wine To Water and Clean Ways Initiative’s clean water project beneficiaries reached 1,050 people throughout Nepal! 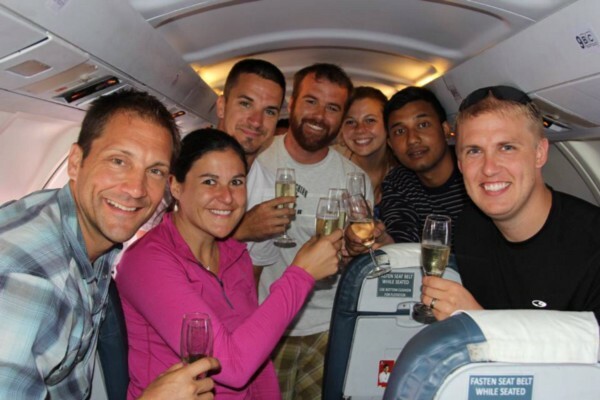 To top off an amazing experience, the volunteers took a flight throughout the mountains of the Himalayas and around Everest while sipping on a cold glass of champagne! 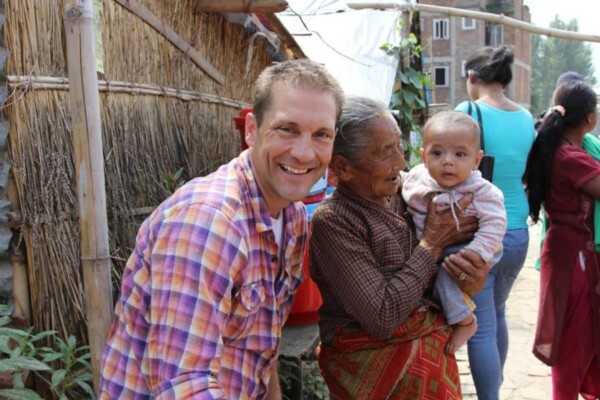 Congratulations volunteers on an amazing and impactful first Wine To Water Service-Trip to Kathmandu, Nepal!